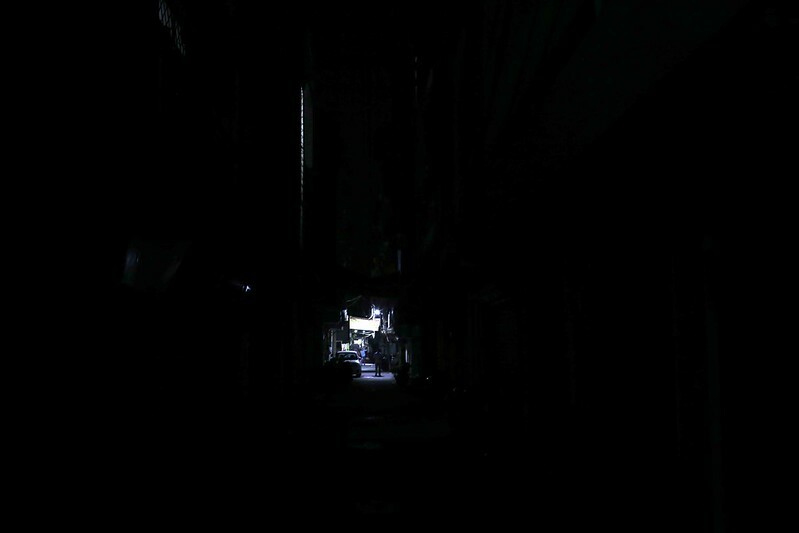 Some of the lanes leading to his home are so dark that you can’t see your own feet. The Delhi Walla‘s internal GPS is seriously confused. It’s way beyond midnight. 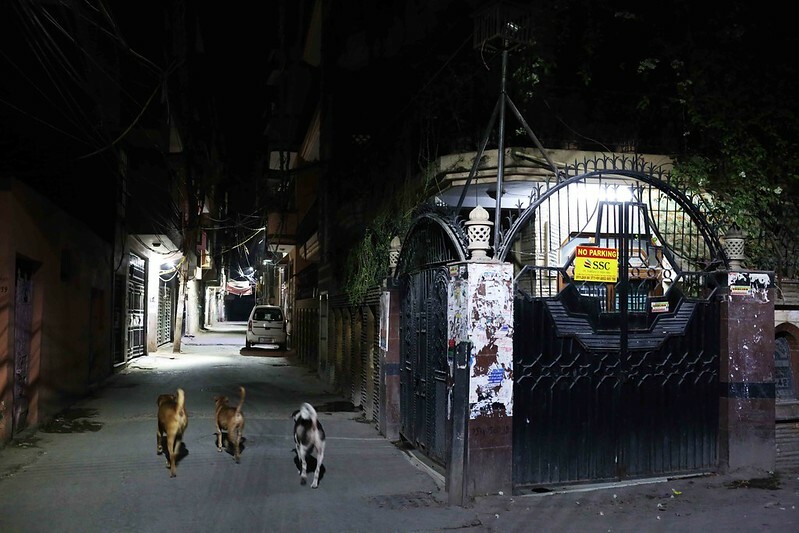 The alleys are deserted, but outside the Surya Light Store we encounter a dozen men dressed in white Pathan suits, chattering away. 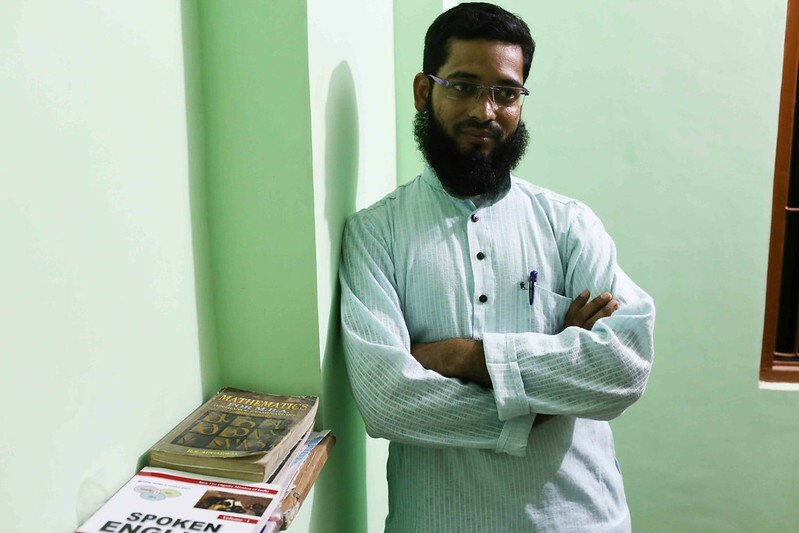 I’m at Batla House, in south Delhi, with Sauban Ahmad (see top photo), who has gracefully agreed to tell me all about life in this neighbourhood. It is an instant friendship. 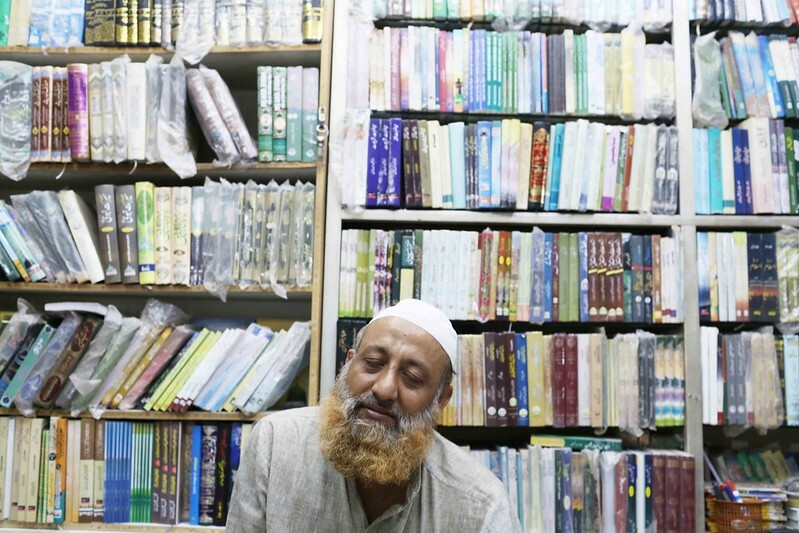 Earlier that evening, I had bumped into him at the Maktaba Shah Waliullah bookshop on Nafees Road while browsing through titles such as The Ideal Muslim, Key To The Treasure of Jannah and Chronology Of Prophetic Events. We started talking, something about the poet Iqbal, stuff like that. And, bemused by my curiosity, he offered to show me his home. 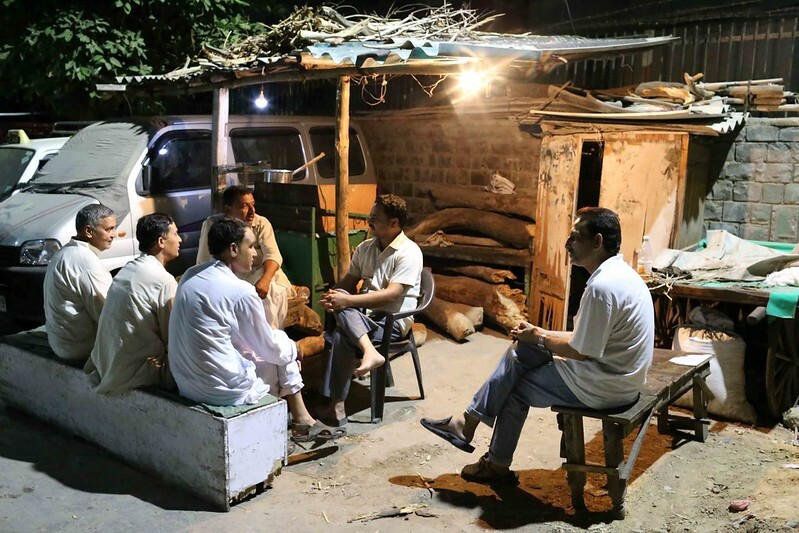 The Urdu-speaking Ahmad, who is in his 20s, is an MPhil student at Delhi University, researching an Intizar Hussain novel. He moved to Delhi in 2007. 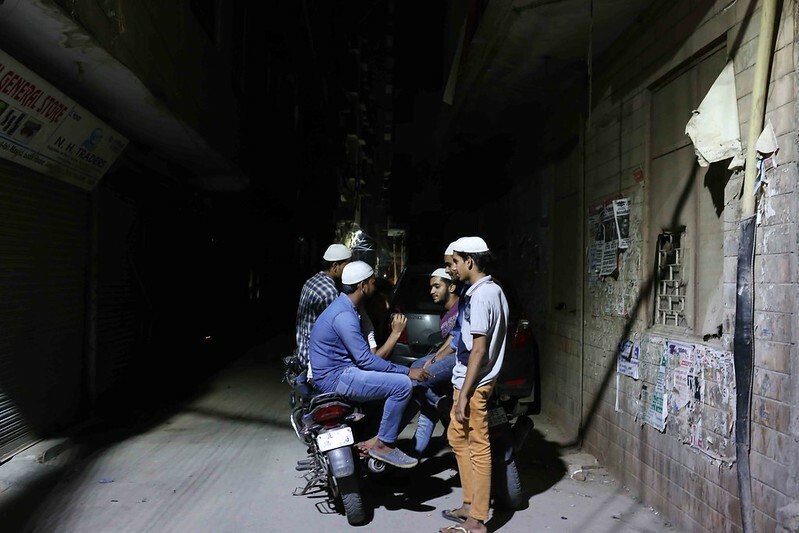 A Muslim-dominated area, Mr Ahmad’s neighbourhood is close to Jamia Millia Islamia University—you sense that proximity on discovering that almost every fourth person you talk to is a Jamia student. The Yamuna river flows close by, though that might not be something to boast about, given that its waters are so toxic. 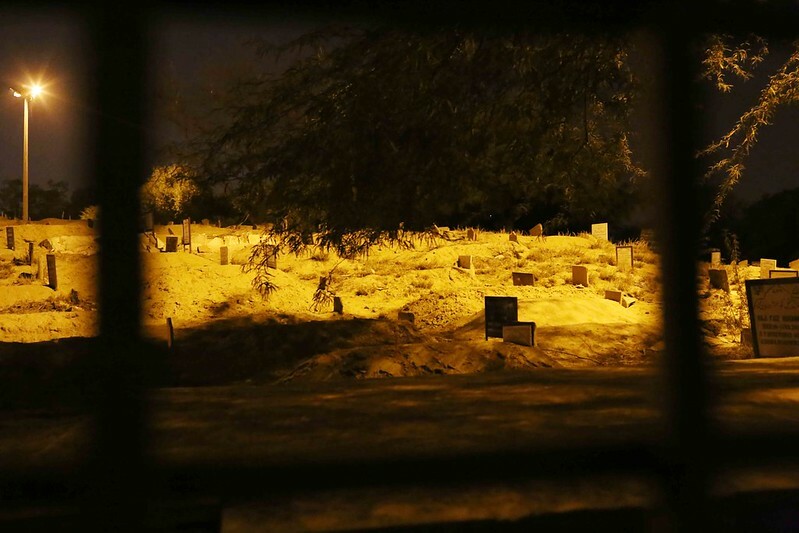 Batla House also has a sprawling graveyard that includes the tomb of the great Urdu writer Qurratulain Hyder (see photo 3 below). But that’s not why Batla House has made headlines in recent years. 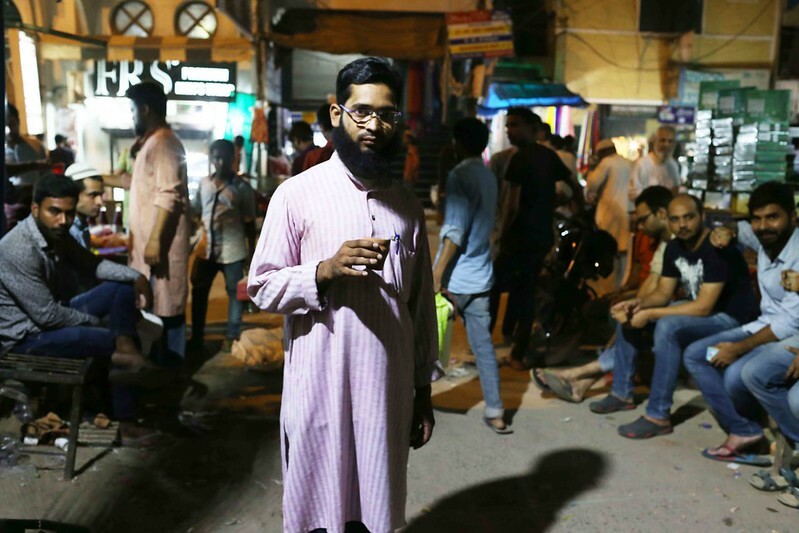 The neighbourhood was yanked out of anonymity in 2008 when an encounter between the Delhi Police and suspected members of the banned Indian Mujahideen outfit ended in the killing of two alleged terrorists and a police inspector. 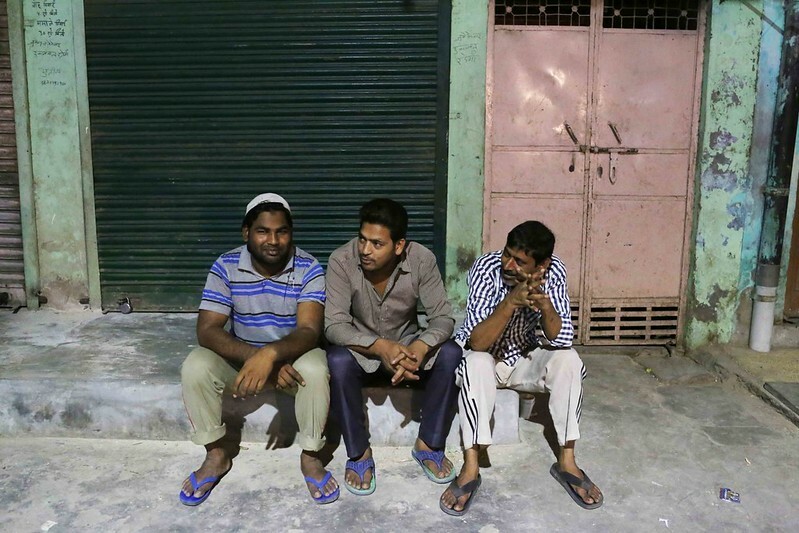 Since then, the controversy over the shootout has kept Batla House in the news. If you google its name, the first result is a Wikipedia entry on “Batla House Encounter Case”. 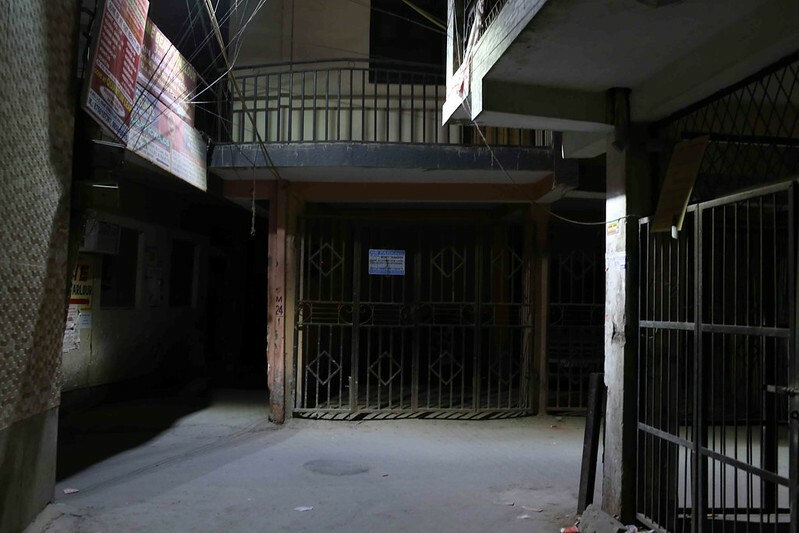 In May 2016, Batla House again hit the headlines—a video that went viral showed a militant in Islamic State (IS) network-controlled Syria and Iraq claiming to have been there during the 2008 encounter. One doesn’t know what or whom to believe, but I want to know what it’s like to live in Batla House. So there I am, at Mr Ahmad’s home. Walking home with him is like penetrating Batla House’s first layer. We pass through a series of lanes. Crudely built multi-storeyed flats stand on both sides, but occasionally they make way for lovely old bungalows that hint at the area’s original beauty. 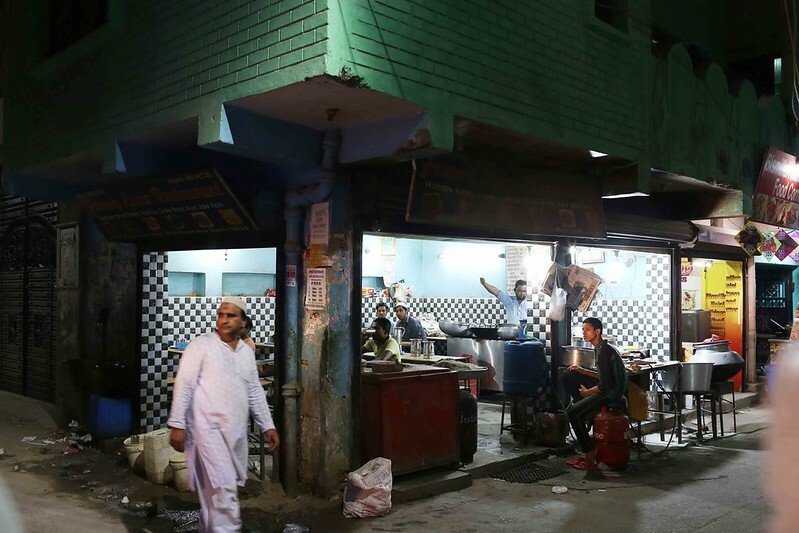 Most of the shops are closed, but Farooq Hotel is still open—the menu painted on the wall is a hotchpotch of chicken items, from stew to korma. 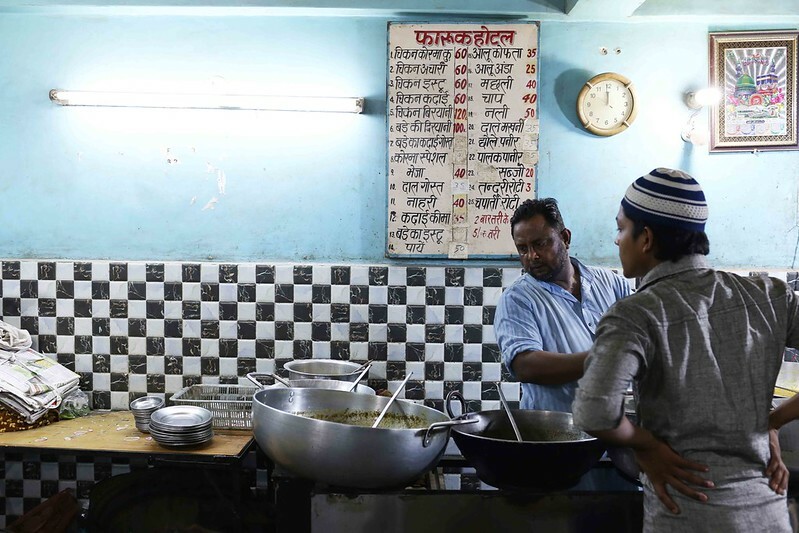 The Salman Biryani Center is said to be very famous, but there are no customers at this hour. 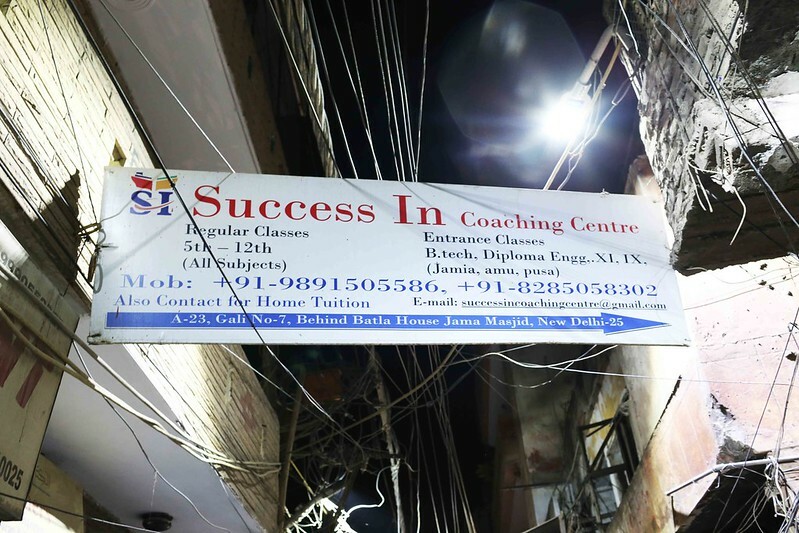 The hoardings on the electric poles tell the story of what the folks in Batla House aspire to. 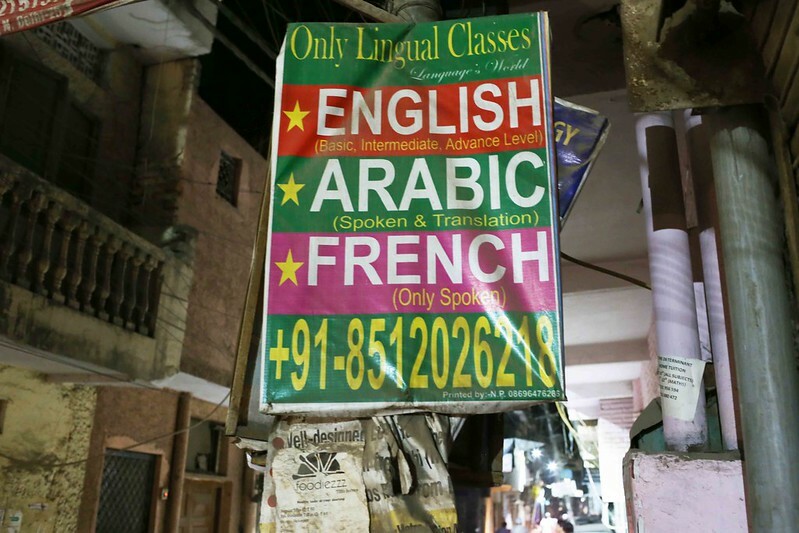 The “Only Lingual Classes” offer “English (Basic, Intermediate, Advanced Level), Arabic (Spoken & Translation), French (Only Spoken)”. Fame Beauty Parlour advertises the services of a “Skin & Hair Specialist” who has “Worked with Shahnaz Husain and USA Embassy Past 15 Years”. 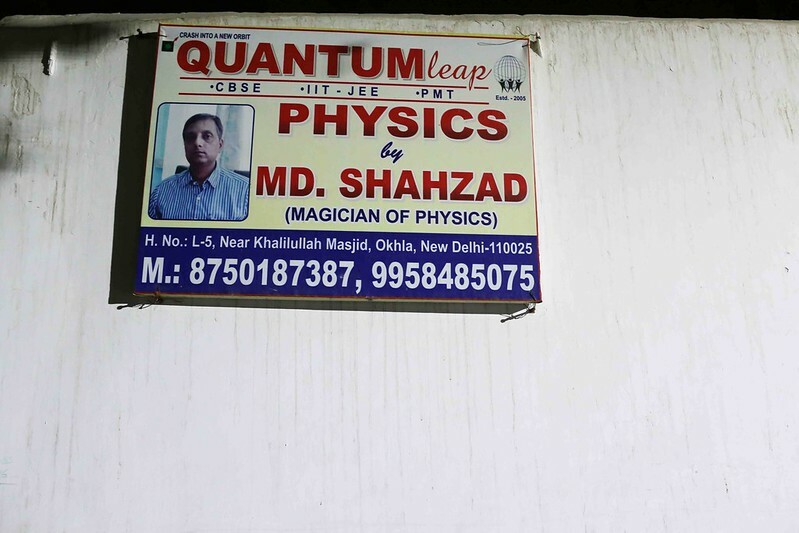 The Quantum Leap coaching centre boasts of the services of Mohammad Shahzad, aka “The magician of Physics”. 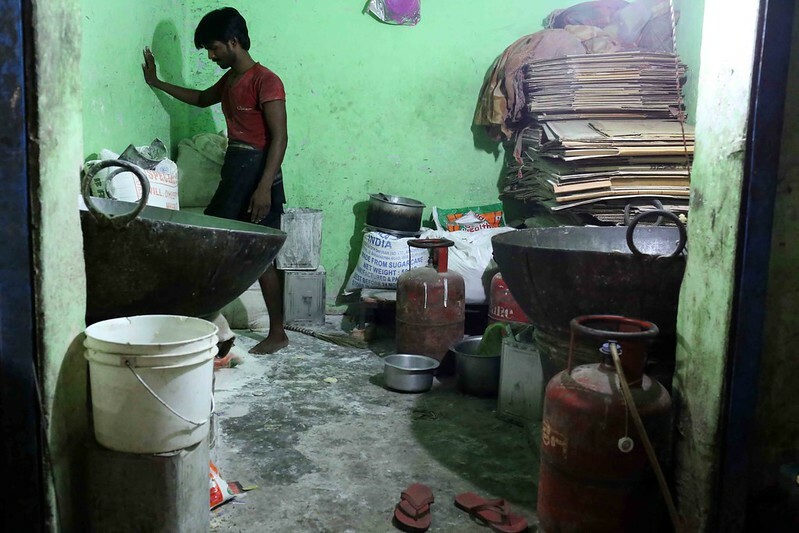 Mr Ahmad says his landlord, who lives on the top floor, owns a gym and a girls’ hostel. 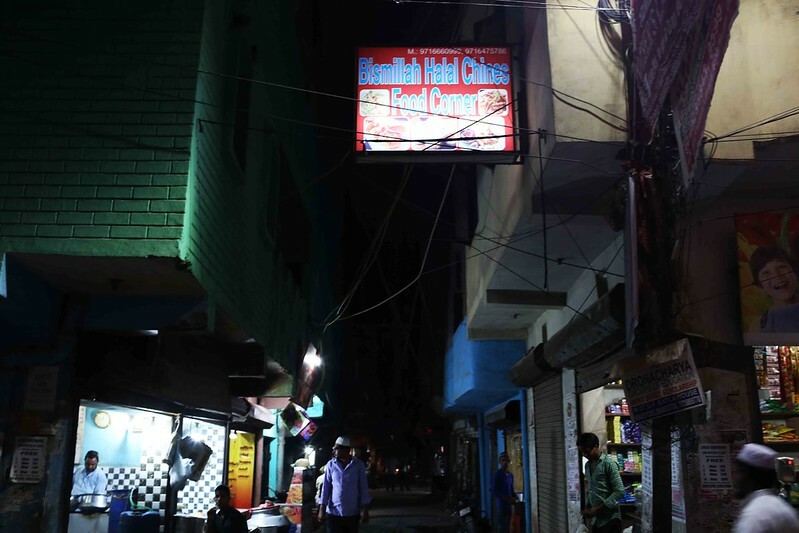 Many of the landowners in Batla House rent out rooms to Jamia Millia students. 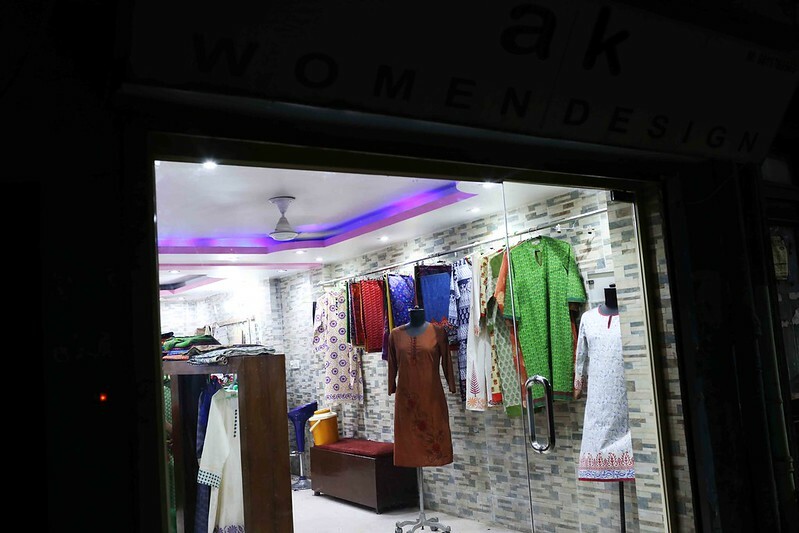 There was a girls’ hostel too on Nafees Road, but last year the landlord turned it into the Sultanate (shopping) Plaza. 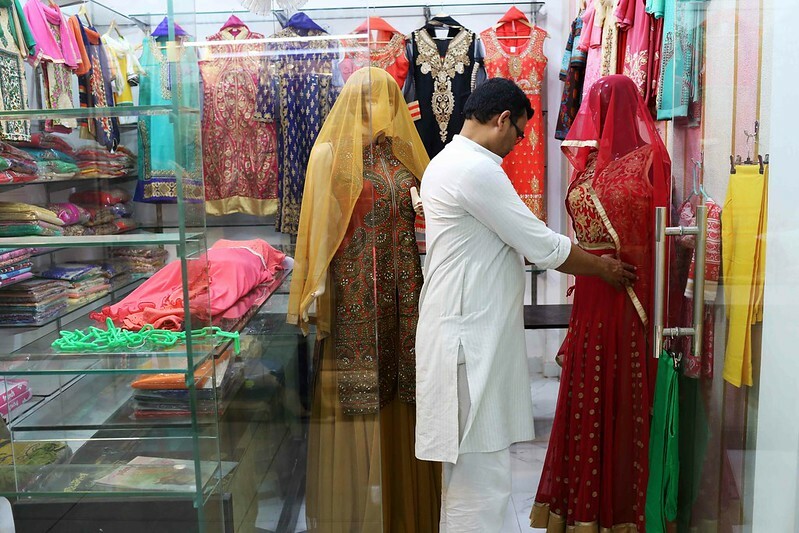 Mr Ahmad says some residents hold good jobs in the office towers of Gurgaon and Noida, near the Capital, while others are rickshaw-wallahs and dihadi-wallahs (daily wage labourers). “The only common thing among us all is that we all are Muslim,” he says. 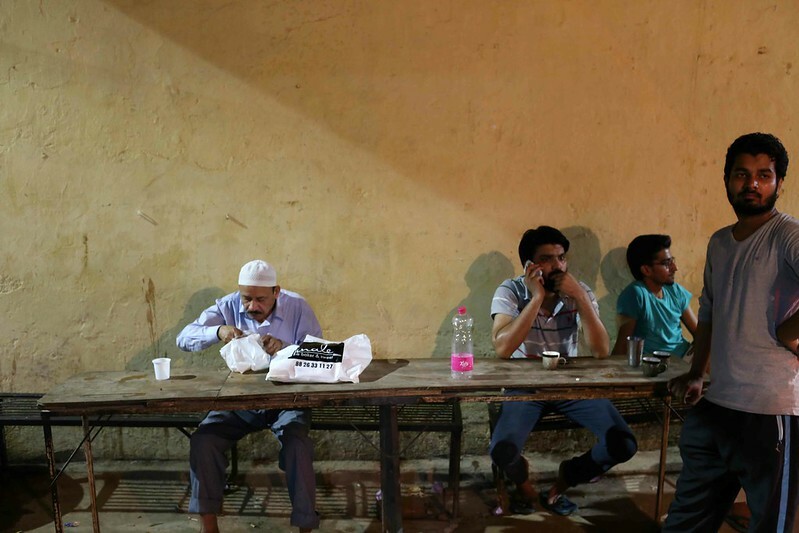 Unless you like hanging out in mosques, it’s not easy to while away the empty hours in Batla House. There are no coffee chain outlets here, not even the weedy CCD (Café Coffee Day). The nearest air-conditioned café where you may sit down with a chilled glass of iced cappuccino is in NFC (the New Friends Colony Community Centre). An auto-rickshaw gets you there in 10 minutes flat. 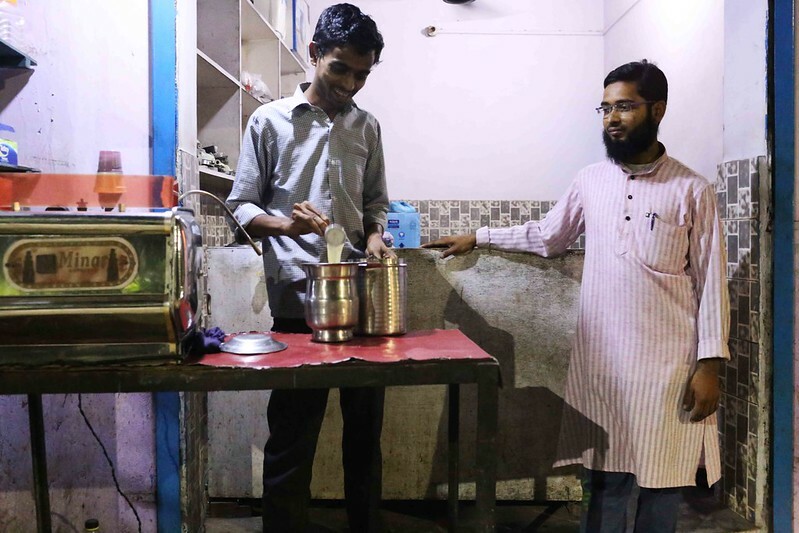 Batla House has quite a few happening tea houses. Kulhar Café is the place to see and be seen. 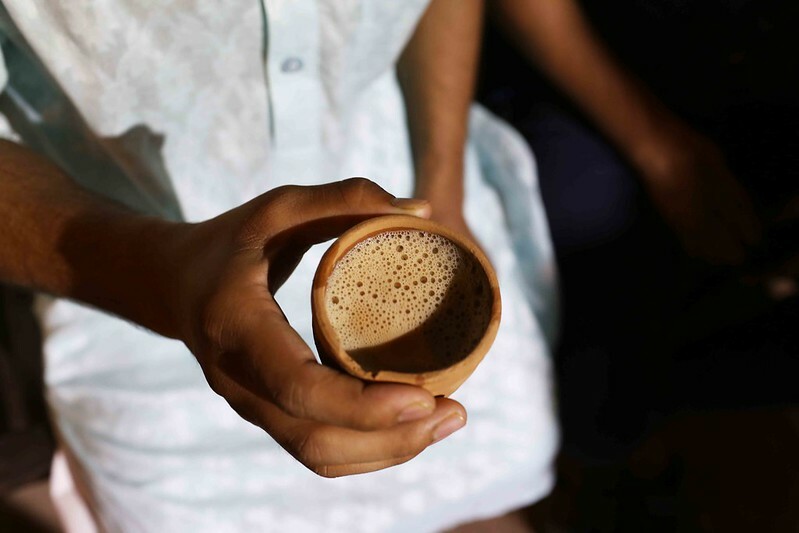 It’s a roadside stand serving overly-sweet tea in earthen cups, or kulhars (hence the name), but that’s not the point. Every night, a crowd of students converges there to dissect the events of the day, turning this little street corner into a debating stage. All that’s missing is the soapbox. It’s 3am, and Mr Ahmad can’t stop yawning. That’s the cue for his guest to take his leave. He accompanies me to the main road. We pass by Khalilullah Masjid, Batla House’s largest mosque. I am told the infamous encounter took place near it. The gate is locked from inside. 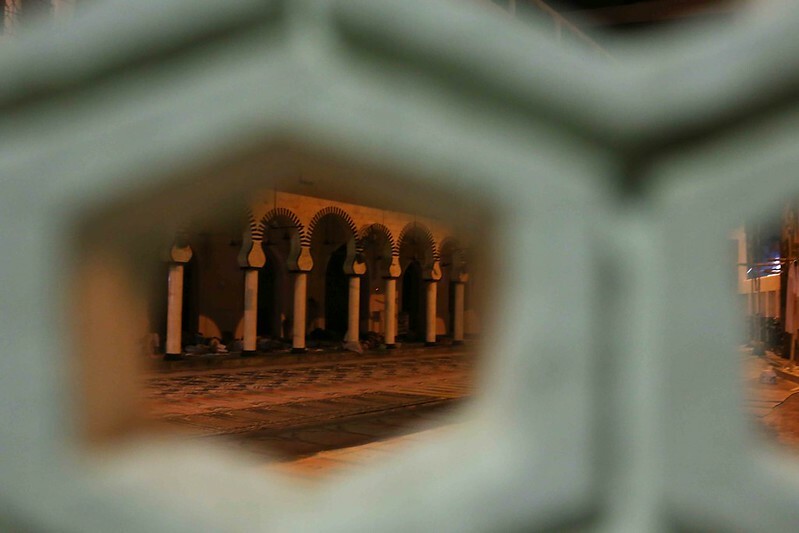 We peer through the gaps of the mosque’s gate and see scores of men asleep in the corridor. I am a few regular follower of your blog. Have been reading your work since it started getting published un Hindustan Times. Always appreciate that your writings seem like you’re observing individuals going about their lives, without adding or deleting anything. This place seems like my NCR colony, with builder flats and bungalows sharing space, narrow lanes, corner tea shops and coaching classes. Only thing I would insist is that Batla House Encounter has been proved by various agencies to be an actual encounter. There’s no need to believe or not believe anyone regarding the main event. The problem in India is that in the wake of such events the police arrests and harrasses people often unjustly that it brews resentment, esp in minority communities who have no dearth of so called ‘leaders’ to tell them they are being singled out, or that their members if community can do no wrong. Political parties have their own opportunistic drama to play out. It has led to Batla House and area around Jamia Milia being seen as suspicious place by general public where anyone might be a terrorist! My best teacher in college lives and probably still lives there. Just like Mr Ahmed here he’s more interested being a good professor than troubling anyone. The ‘few’ in the first sentence is unintentioned. Autocorrect maybe. Thank you, Yash, for sharing your thoughts.